Love the look of the bars on the truck, definitely an improvement to the overall look. My youngest son can get in easier now too which is a bonus. 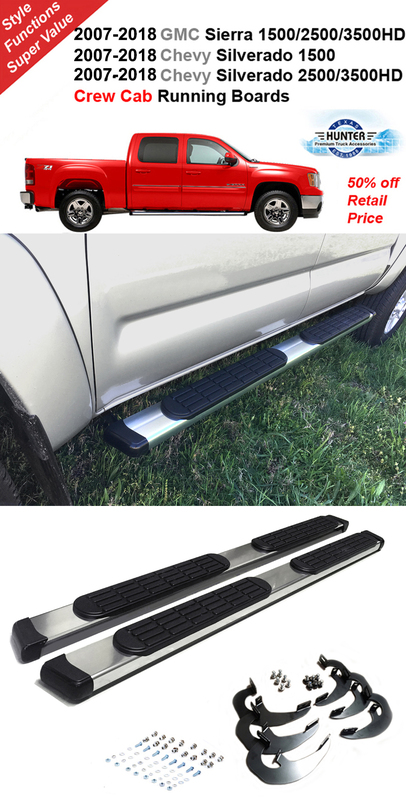 These are very strong and durable running boards. They also look very nice and sleek! Product was exactly as described, and I love the affordable price and great quality. Thank you for the great service!